Chatbots don't need to be smart. They just need to work. Tech giants have been trying to one-up each other to make the most intelligent chatbot out there. They can help you simply fill in forms, or take the form of fleshed-out digital personalities that can have meaningful conversations with you. Those that have voice functions have come insanely close to mimicking human speech — inflections, and even the occasional “uhm’s” and “ah’s” — perfectly. And they’re much more common than you might think. In 2016, Facebook introduced Messenger Bots that businesses worldwide now use for simple tasks like ordering flowers, getting news updates in chat form, or getting information on flights from an airline. Millions of users are filling waiting lists to talk to an “emotional chatbot” on an app called Replika. But there’s no getting around AI’s shortcomings. And for chatbots in particular, the frustration arises from a disconnect between the user’s intent or expectations, and the chatbot’s programmed abilities. Take Facebook’s Project M. Sources believe Facebook’s (long forgotten) attempt at developing a truly intelligent chatbot never surpassed a 30 percent success rate, according to Wired — the remaining 70 percent of the time, human employees had to step in to solve tasks. Facebook billed the bot as all-knowing, but the reality was far less promising. It simply couldn’t handle pretty much any task it was asked to do by Facebook’s numerous users. Admittedly, takes a a lot of resources to develop complex AI chatbots. Even Google Duplex, arguably the most advanced chatbot around today, is still limited to verifying business hours and making simple appointments. Still, users simply expect far more than what AI chatbots can actually do, which tends to enrage users. The tech industry isn’t giving up. Market researchers predict that chatbots will grow to become a $1 billion market by 2025. But maybe they’re going about this all wrong. Maybe, instead of making more sophisticated chatbots, businesses should focus on what users really need in a chatbot, stripped down to its very essence. Landbot, a one-year-old Spanish tech startup, is taking a different approach: it’s making a chatbot-builder for businesses that does the bare minimum, and nothing more. The small company landed $2.2 million in a single round of funding (it plans to use those funds primarily to expand its operations and cover the costs of relocating to tech innovation hub Barcelona). 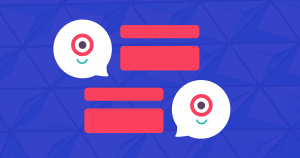 Instead of creating advanced tech that could predict and analyze user prompts, Landbot decided to work on a simple user interface that allows businesses to create chat flows that link prompt and action, question and answer. It’s kind of like a chatbot flowchart builder. And the results are pretty positive: the company has seen healthy revenue growth, and the tool is used by hundreds of businesses in more than 50 countries, according to TechCrunch. The world is obsessed with achieving perfect artificial intelligence, and the growing AI chatbot market is no different. So obsessed in fact, it’s driving users away — growing disillusionment, frustration, and rage are undermining tech companies’ efforts. And this obsession might be doing far more harm than good. It’s simple: people are happiest when they get the results they expect. Added complexity or lofty promises of “true AI” will end up pushing them away if it doesn’t actually end up helping them. After all, sometimes less is more. Landbot and its customers are making it work with less. Besides, listening to your customers can go a long way. Now can you please connect me to a human?